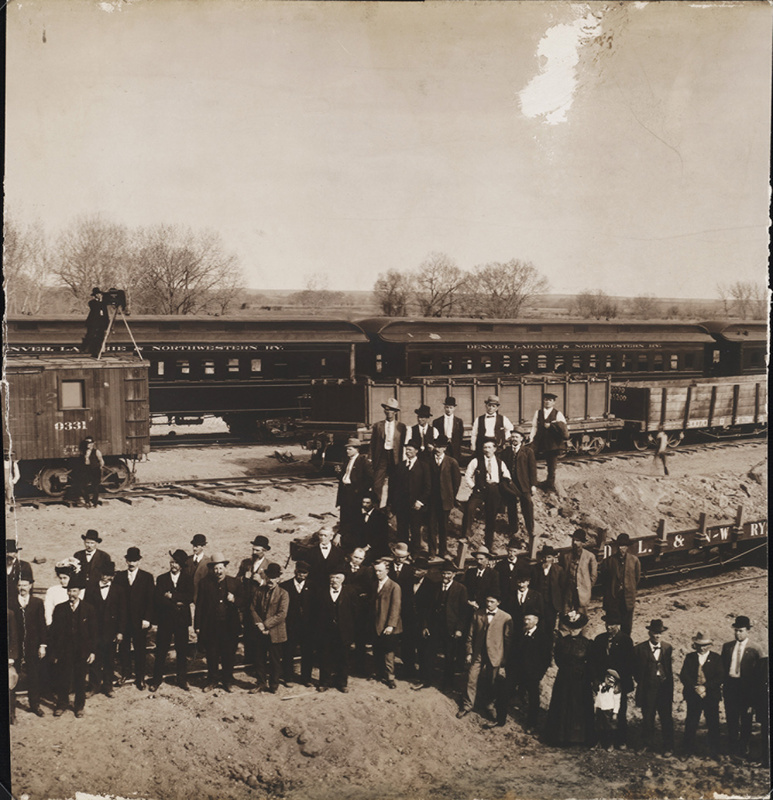 Well dressed men and women, and railroad employees pose on and near a railroad flatcar filled with dirt at Utah Junction, near Pecos Street and Cargill Drive in Adams County. Lettering on the cars reads: "Denver, Laramie & Northwestern Ry." Far smaller than many of its competitors, the DL&NW existed between 1906 and 1917.